Gate: The channel through which the molten resin flows from the runner into the cavity. 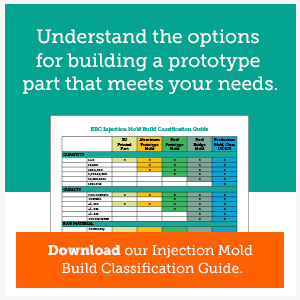 Injection (also known as Fill Time): Time required to fill the cavity or mold. Prototype Tool: A preliminary mold built upon which the final mold will be based. Resin (Synthetic): The term is used to designate any polymer that is a basic material for plastics.